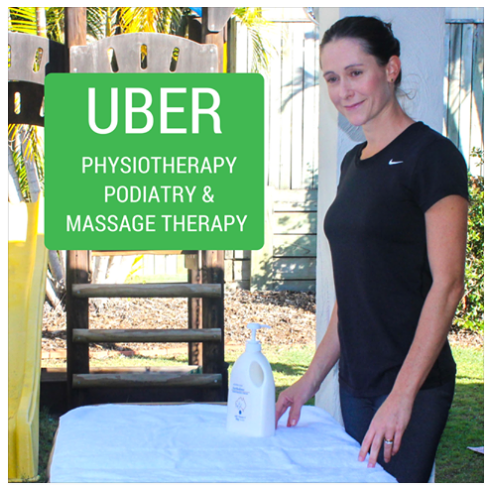 Uber Physio and Uber Podiatry? By now, most of you have heard of Uber Technologies (“Uber”), the San Francisco-based global technology behemoth that has transformed urban transportation and to a lesser extent, food delivery. It is best known for applications (“apps”) that connect their drivers to people requiring transport. Around the start of this decade, many people were seeking either (or both): 1) Flexible on-demand employment, and 2) an alternative to poor taxi service, often wrought with poor customer service, slow technology adaptation, and high fees. Transport is much different to healthcare! Folks have been patiently waiting for an “Uber physio” or “Uber podiatry” service to hit the scene. However, implementation is more difficult, since health is fundamentally different from transportation. For example, in transport, people are generally happy with the first available bus, train, taxi, etc. In contrast, choosing a health professional is more complex. Yes, many patients want a practitioner in their area who is immediately available, but most are willing to wait for someone with more experience in dealing with their specific health needs. So, it's more about balancing speed with quality of service. The administration of physiotherapy and podiatry consultations is more complicated and requires extra, health-specific features. However, recent software advances with its own app has allowed Owner Health to confidently promote a type of “Uber Physio” and “Uber Podiatry” to patients in need. Owner Health's Similarities to Uber. Although I'm not fond of the terms “Uber physiotherapist” and “Uber podiatrist”, many people use these terms to describe our platform. Like Uber, Owner Health allows self-employed practitioners to operate within our marketplace. Physiotherapists and podiatrists completely control their work hours, service fees, and service locations. 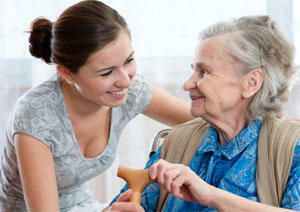 We offer these professionals incredible flexibility through use of our cutting-edge technology. Allied healthcare practitioners who have specific work requirements or just need some extra money outside their current employment can benefit. While admiring Uber in many ways, I’m fundamentally against the “first available” concept. As a certified, registered healthcare professional, I feel we need to encourage the patient to take the time and select the best practitioner. I’m proud of my hard-earned clinical skills and want to promote expert practitioners. Patients shouldn't be satisfied with the first available physio or podiatrist as if they were just taxis at a stand. They want and deserve the best! Within the Owner Health application is a detailed practitioner section that allows physiotherapists and podiatrists to outline their interests and expertise. This allows for better results, faster. Although other healthcare concerns are building Uber-like software products, Owner Healthcare's app remains the largest, most transparent, and best performing platform software for home visit healthcare in Australia. I highlight transparence (see next section), because of the trend among some of our competitors to hide practitioner profiles from their websites. From a business perspective, perhaps this makes sense. After all, it gives the owner control of all referrals, and likely all the consultation fees. If they are able to contact allied health practitioners directly, companies like Owner Health won't receive any payments for referrals and may eventually be forced to give up mobile services. Hence the more closed philosophy to reduce risk. Owner Health respects its Patients and Practitioners! 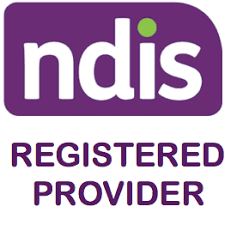 Nevertheless, I fundamentally disagree with hiding practitioner profiles, because it puts Australia on the slippery slope towards commoditising the health profession. Like Big Brother, you're preventing patients from picking practitioners that suit them best by deciding on their behalf. This is not good, neither for practitioners nor patients. I firmly believe that if you provide patients and practitioners with good technology at a fair price, they will use it and remain loyal to your brand. Uber continues to prove this to a large extent, so it behooves us to stop fearing direct connections and start improving the health services experience for everyone concerned. I’m really passionate about this topic. 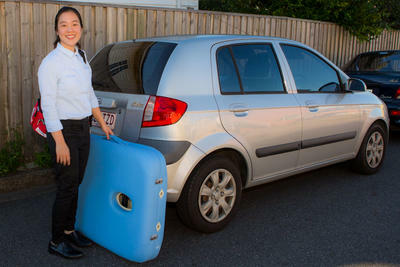 If anyone would like to further discuss mobile physio and mobile podiatry in Australia (and Uber! ), please contact me at ben@ownerhealth.com.au. Alternatively, if you are a physiotherapist or podiatrist yourself, consider signing up to use the mobile application in multiple locations on our website.